In May, I found myself riding atop a very short horse, my feet nearly dragging along the vibrant red, mud path, in the spectacular scenery of Viñales, Cuba. 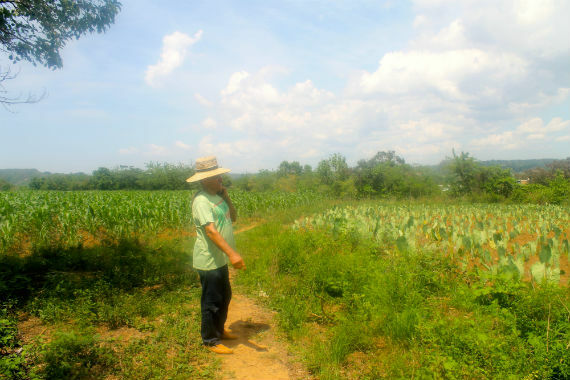 I was with my boyfriend (riding an even shorter horse) and our guide (a farmer we had stumbled upon minutes earlier) headed towards a tobacco house, when a man from a neighboring farm approached. He wore a typical, wide-brimmed straw hat, leather loafers, and a green Mountain Dew T-shirt. "Where are you from?" he asked me in Spanish. A smile instantly spread across his face. "Ay los Estados Unidos!" He launched into an excited rant about how he had watched Raúl Castro's speech on TV, how he cried when Castro said that the United States and Cuba would resume diplomatic relations, how thrilled he was that our countries were now friendly, how much he loved President Barack Obama, how much he and his family had financially struggled, how much he hoped things would get better. Suddenly he paused. Tears were in the corners of his eyes. "You know, it's the politicians who make these decisions and it's the people who suffer," he said. "We need this change." Change. It's the word of the moment for Cuba, but one Americans and the media can't seem to fully get on board with. As much as people say they want progress for the island, as much as "the future of Cuba" screams from every headline, we continue to romanticize a Cuba stuck in the past. Just take Vanity Fair's November cover featuring pop icon Rihanna, looking ever the retro Caribbean sexpot, perched against a turquoise 1950s car in Havana. With a chipped, peeling, basically one-step-away-from-sepia-toned wall behind her, the image was ever the foreigner's vintage Havana dream. Vanity Fair was just the latest in a slew of fashion magazines that have headed down to Cuba for photo shoots, their glossy pages now filled with world-famous models in thousand dollar dresses lounging in someone's deteriorating colonial home, or buying tropical fruit from a man on the street that might clear a few dollars a day. The fashion world's Cuba craze will only reach new, dizzying, exploitative heights when Karl Lagerfeld heads down to Havana to host Chanel's Cruise 2017 show in May. Place all these images in an album, and you have Cuba in 1956. 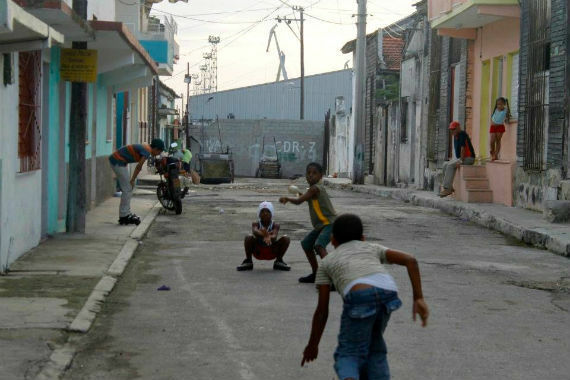 You have staged snapshots that contradict the speculative buzz surrounding "Cuba's future." You have a problematic, invented allure that makes nearly every person looking to visit Cuba say, "I want to see it before it changes." 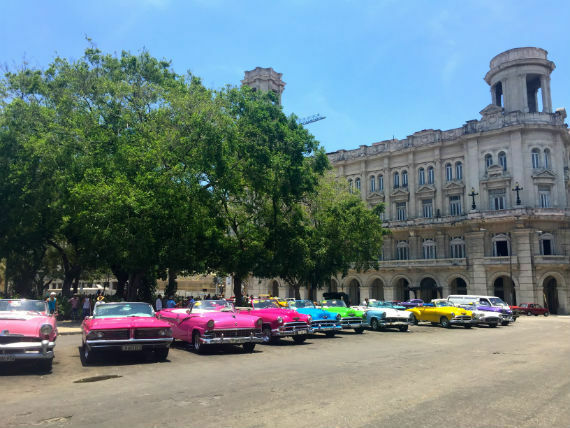 Besides the inevitable catch-22 of that statement (tourists want to see the country before it changes, but each tourist is responsible for causing that change), it overlooks everything "change" could mean for the Cuban people. Just think about what it meant for the campesino with the wide smile and Mountain Dew T-shirt. Now that travellers fear the all-inclusive-resort-Starbucks-and-McDonalds-on-every-corner-ification of Cuba, there is an anxiety that the prevailing, romanticized vision of "authentic" Havana will vanish. People want to ride in the 1950s American cars before the Ubers arrive, see the decaying colonial architecture before the inevitable facelifts, nab some Havana Club rum and Cohiba cigars while they're still "contraband -- basically soak in "the real" Cuba before U.S. commercialism messes it all up. This reasoning is not only presumptuous (who says Cuba will so eagerly welcome wholesale capitalism? ), but it reduces the island to an elaborate set, the stuff of cinematic chimera. Magazine photo shoots and features like "8 Historic Cuban Hotels You Can Stay In Now," only add to the glorification of Cuba-as-iconic-backdrop mentality. My trip to Cuba in May was my sixth. My first had been as a study abroad student in 2010, a four-month period during which I made close Cuban friends. Many evenings were spent just sitting on a porch or in the park talking. We were all around 20-years-old and imagining what we might do with our lives. Already, my Cuban peers were feeling stuck, limited, pessimistic. One friend dreamed of starting his own music production company. Another of making documentary films. Another of traveling to Europe. They were plans spoken of without any hope that they would, or could, be realized. Life in Cuba was a lot of waiting and hanging around, talking about "what if...," without ever expecting it would happen. Life in Cuba was also downloading the latest Beyoncé track off a friend's USB. Watching pirated Marvel superhero movies. And debating the pros and cons of WikiLeaks. Just a tad more connected than the Buena Vista Social Club would have us believe. But still, my friends' hopes of building the futures they desired were all but non-existent. They were angry, frustrated and sad. Over the years, many of them simply gave up on finding success and happiness in Cuba and did as so many had done before them: they left. During my past trip in May, many of my friends expressed the same cynicism, but I felt a new spirit in the air. More of them had found jobs they were happy with. As Cuba moves to privatize its economy some were even opening their own businesses. A few had travelled to other countries and actually decided to come back. People I talked to on the street were optimistic about an end to the embargo. I guess you could say there'd been change. However, the range of Cubans able to take advantage of this change is undoubtedly limited. Let's not forget the nearly 2,500 Cubans currently stranded in Costa Rica. These are people who figured the risky journey through the better half of a continent, and the distant hope of life in the United States, was better than anything "change" in Cuba would do for them. So don't worry. The majority of the cars on the road are still 1956 Chevys put together with spit and a prayer and a refurbished 1980s Russian engine, and the apartments in Centro Habana are still in dangerous disrepair, and the services are still operating at a beyond inefficient and bureaucratic communist system speed. But those are all things to which Cubans are ready to say adios. My friends are excited for a future of more possibility without returning to a pre-Revolution era of unfettered U.S. influence and capitalist pressure (believe me, they aren't thrilled about the idea of a McDonald's either). There is an opportunity here to redefine what U.S-Cuba relations can look like. And it should look nothing like gaggles of tourists trying to recreate images from their grandparents' 1950s honeymoon. Nor Rihanna's magazine cover, for that matter. 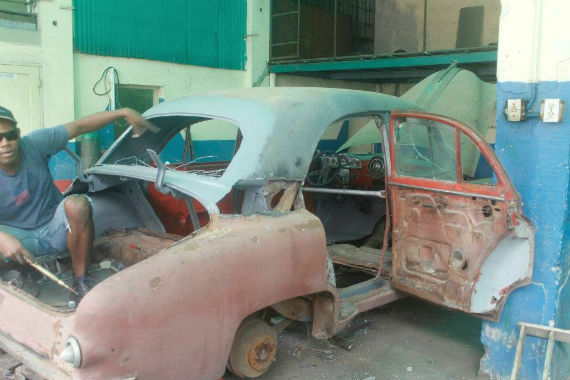 So the next time you see a Cuba news story or photo shoot that chooses to use yet another picture of an old car, remember it's more than the cool "caught-in-time" beauty of Havana -- it's somebody's lived reality and daily hustle. And you can bet that when you make it down to Havana, some chauffeur will overcharge you to take a ride in it.